When you think about the basics of menu planning, it sounds pretty easy (and I’ve written about how to menu plan before if you need more specifics). Until you actually sit down to do it! So I wanted to share some of my best tips for menu planning & a free printable menu planning sheet with you. 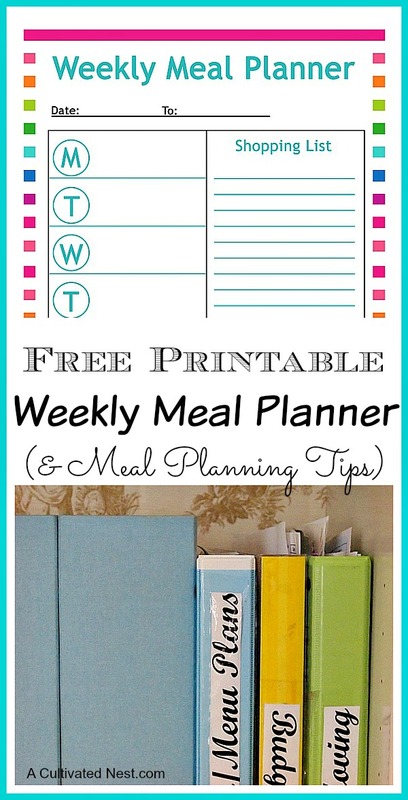 The meal planning sheet is at the end of the post and you can find other free printables here. Some of you may be wondering why you should meal plan at all? 1. Planning your meals will help you save money because, 2. Planning your meals will keep you from the “what’s for dinner” stress which often turns into “lets eat out” and 3. Planning your meals saves you time – you know what to shop for and you know what you’re making! Menu planning helps simplify life! Although you may have a super awesome memory, make sure you take the time to write down your menu each week. I like to keep my meal plans in a notebook that also has my price list. but you may like to keep yours in your home management binder (or maybe you like to write yours on a calendar in your planner). Wherever you decide, just try to keep all your menu plans in one spot! Writing down your menu is one thing, but don’t forget to make a shopping list as well. Oh, and don’t forget to take your shopping list with you (I do that all the time)! There’s nothing worse than forgetting to purchase one or two ingredients that you desperately need to finish a meal. Making a shopping list will help you save time and money in the long run, although right now it may seem like a hassle. It makes sense to make what your family will enjoy eating. So start with a list of those meals first. It’s less work and headache for you if you make meals they love. Life with menu planning will get old fast if your family doesn’t love what you are planning on making. But don’t be afraid to sneak in new meals here and there. You might be surprised what your family’s taste buds enjoy. Maybe you feel as though you aren’t coming up with anything new in regards to menu planning. Don’t be afraid to get out there and add a little inspiration to your menu. 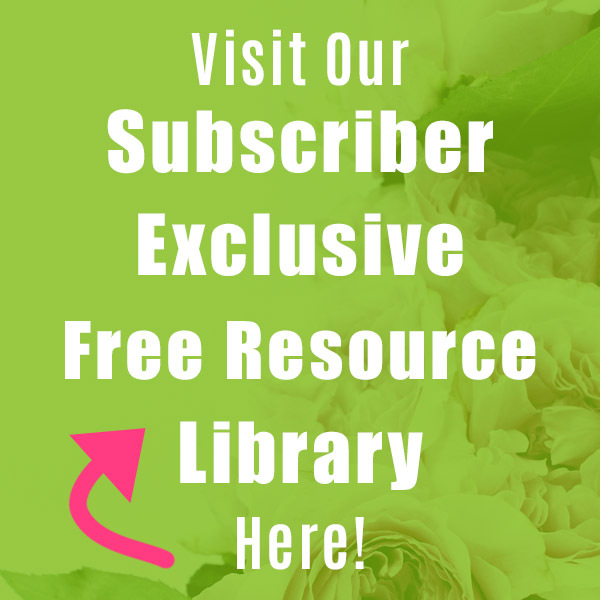 Look on Pinterest or join meal planning/cooking Facebook groups and ask other women what they are making! A lot of families complain that there is no time to cook and that’s a believable statement. If you can, then spend some time prepping for that weeks meals. That means either putting together some freezer meals or washing chopping veggies, cooking up ground beef or chicken that you need in a recipe, anything that you can do ahead to make the actual cooking part easier! This means you can put your meals into the oven or crockpot, without a lot of work on your part the rest of the week and that helps you stick to your menu plan. One major reason that people choose to menu plan is that it helps to simplify life a little bit. If you are just getting started with menu planning, try doing one week at a time before you tackle meal planning for a month or more! You could do your weekly meal plans and at the end of 4 weeks you would have a months worth of meals that you could use! I hope my tips help make menu planning a little easier for you! Below is a printable menu planning sheet that you can use to record your meals for the week (just click on the link – it will print without the watermark). Want a meal planner in a different style? Click here to get our pretty floral free printable meal plan template! 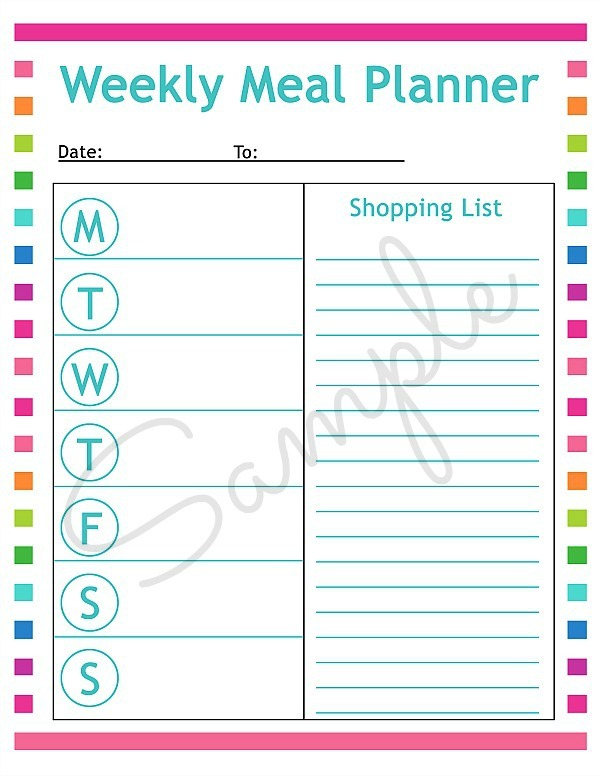 Thank you for the Meal Planner Planning Sheet. I am going to start planning our meals. Thank you Manuela! 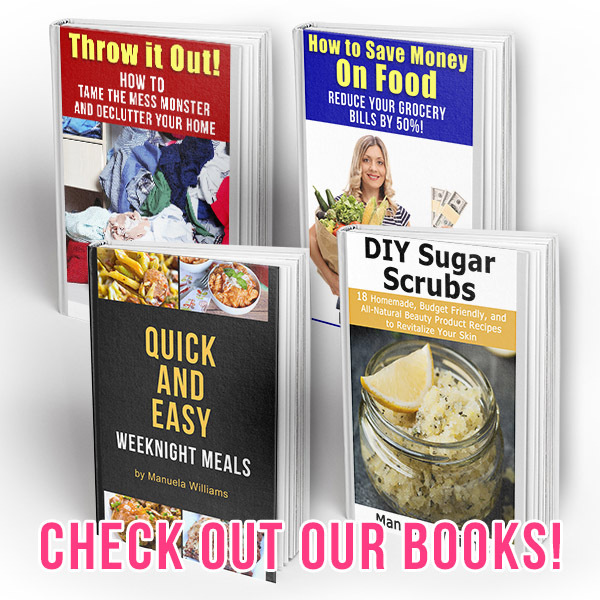 I get so many great tips from your blog! Have a blessed day dear friend, HUGS! Thank you for taking the time to comment! 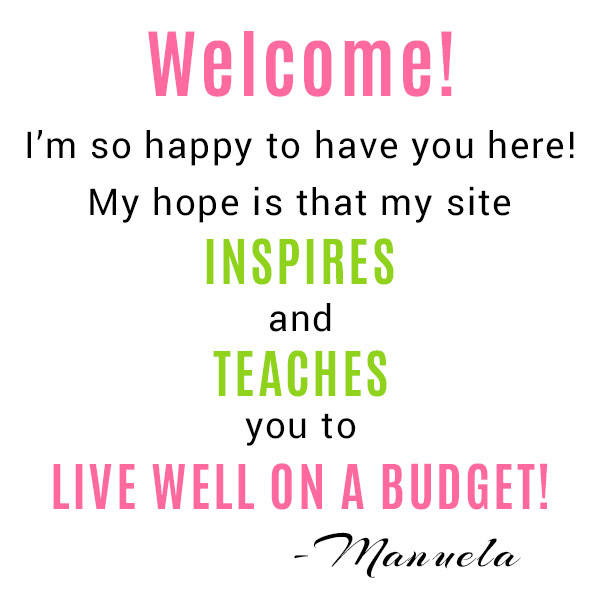 I’m so happy that you find ideas you can use on my blog! 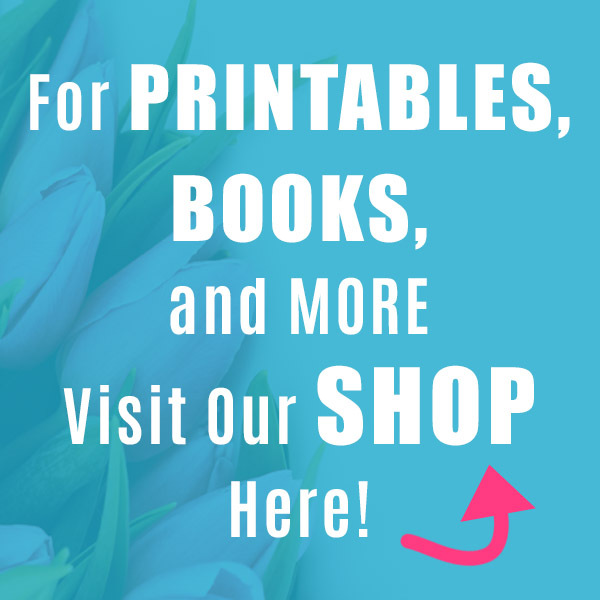 Use your recipes (printouts) as shopping list. You can inventory your spice rack and pantry before you shop for ingredients.